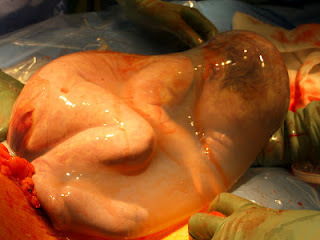 The Mom: Informed: BABY IN THE CAUL PICTURE!!!!! Reposting and linked here because the world should see this and Facebook whiny babies can't do a thing about it!!!!!! Still dont approve of the second picture. But baby in caul picture is awesome! I don't understand why some people are so offended by a mother feeding her children. The breasts are on a woman's body and produce milk for a reason! This picture of her feeding her babies is just beautiful! I thought I commented earlier but I guess it didnt go through. I breastfeed. I breastfeed in public. I even breastfeed in the middle of walmart without a cover.... that being said, why post something like this online? Its not... i just dont like the picture. BECAUSE IT SHOWS THE BABY NURSING AFTER THE BIRTH!!! is it lucky for the baby to be born with membranes intact?